Die 591 maschinengeschriebenen Original-Seiten sollen nach Louis P. Lochners Darstellung 1945, direkt bei Kriegsende, von einem "Lumpensammler" auf dem Hof des Propagandaministeriums am Wilhelmsplatz gefunden und zu einem Altmaterialienhändler gebracht worden sein. Über verschiedene Mittelsmänner gelangten die Bögen schließlich in Lochners Hände, der sie als die Original-Tagebuch-Aufzeichnungen des Dr. Goebbels identifizierte und veröffentlichte. (DER SPIEGEL 04/1951 + Fraenkel/Manvell »Goebbels - eine Biographie«) Diese Tagebuchseiten enthalten z.B. auch die Passage vom 27.03.1942. Diese Veröffentlichung der kompletten Goebbels Tagebücher basiert auf dem Lochner Fund und den restlichen Original-Tagebuchseiten die im Auftrag der DDR-Regierung in der ehemaligen Reichskanzlei gesucht und gefunden wurden. David Irvings Entdeckung der Original Agfa Autolith Mikrofiche-Glasplattenkopien der Tagebücher, die auf den Geheiß Goebbels vor Kriegsende angefertigt wurden, und die sich in den früheren geheimen sowjetischen Staatsarchiven in Moskau befinden, im Jahre 1992, bestätigt offensichtlich die Echtheit sowohl des Lochner Fundes, der sich in der Hoover Institution library in Stanford, California befindet, als auch der Tagebücher die aus dem Fund der ehemaligen DDR stammen. How about a little translation for our non-German speaking friends? According to Louis P. Lochner the 591 typewrited original pages have been found 1945 immediately after the end of the war by a rag collector in the court of the propaganda-ministry at Wilhelmsplatz and have been brought to a wastepaperdealer. Through the hands of different intermediaries the papers finally ended up in Lochner's hands, who identified them as the original diary-entries of Dr. Goebbels und published them. (DER SPIEGEL No. 04/1951 + Fraenkel/Manvell Goebbels - a biography). Those pages of the diary include the passage of 27.03.1942. 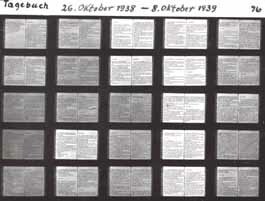 David Irving's discovery of the original Agfa Autolith Microfiche-glass-copies of the diaries in 1992, which have been made on Goebbels' instructions before the war ended and which are in the possession of the former secret Sovjet State Archives in Moscow, obviously confirms the authenticity of the Lochner findig, which is now at the Hoover Institution library in Stanford, California, as well as that of those diaries which have been found by the former [communist] GDR-government. Those websites seem to be offline. The links refer to the introduction of Irving's up.cit. book The unknown Dr. Goebbels - The secret diaries 1938, where he describes in great detail the story of the diaries and his role in it. Perhaps somebody has the English edition of this book in his book-shelves and can post the relevant passages here? I think it's important not to lose sight of the concern that the diary, as we have it, may contain a number of interpolated inauthentic passages. It would an extremely big step to assume that anyone thinks that the diaries are a fabrication lock, stock and barrel. I think fraud on that scale would have been discovered by now. Rather, the fact that the bulk of the diaries is authentic is important because it lends credibility to at least a half dozen passages which many people doubt were genuinely penned by Goebbels, and for good reason. Some of the content of a post about Irving´s letter, the last post on page 2, has correctly been deleted, but in the present form the post appears somewhat confused. The problem when commenting on this letter is that Irving mentions an article by some Mr. Goodson, which I haven´t read, and the letter is written 1997, apparently four years before the publication of the Weckert article. But it would make a very strange impression if Irving had simply neclected to comment on Weckert´s proofs. A further problem is that Irving doesn´t seem to be interested in finding out whether these parts of the diary have been forged. It would seem that he is more interested in simply telling us that that´s not the case. I have not had time for looking into the new links that Reinhard presents, but obviously he has found one interesting contradiction in the passage, already posted, about the discovery of the diary. driansmith wrote: I think it's important not to lose sight of the concern that the diary, as we have it, may contain a number of interpolated inauthentic passages. It would an extremely big step to assume that anyone thinks that the diaries are a fabrication lock, stock and barrel. I think fraud on that scale would have been discovered by now. Rather, the fact that the bulk of the diaries is authentic is important because it lends credibility to at least a half dozen passages which many people doubt were genuinely penned by Goebbels, and for good reason. The question is how big this number is. I think we´re talking about much more than half a dozen. When I read the diary, I noticed a lot of dubious passages. For example, Goebbels writes he has had dinner with "the Schaumburgs". The editor notes this is a mistake, the name of the couple is "Schaumburg-Lippe". It is of course possible that Goebbels has written this, and that he called this couple "the Schaumburgs". But I have the general feeling that there is an intention to present him in a bad way. I also have the feeling that the actual Goebbels would have written the names of his friends/colleagues correctly. If just a few passages had been forged, then - considering the style of the forgeries that were desired -these would probably be too different from the rest of the diary. It wouldn´t be a problem to write long forged entries. The tendency of the fraudsters is to lie in an unimaginable and incredible way. What goes for the Holocaust on the whole - people don´t assume that it could be a fraud because they consider it impossible - also goes for this diary. And let´s not forget that as much as 591 pages were orginally "found" by this obviously unreliable person (as it seems), Lochner. Not to get away from the content of the diary, but frankly, Irving seems to relish the glory of his 'discovery'. Anything that distracts from his sense of vanity seems irrelevant to him in this case, in my opinion. Because this thread is so interesting I hastily compiled a chronology of the history of the Goebbels diaries from readily available sources on the Internet. I include comments and questions written from the viewpoint of someone who thinks the diaries are very substantially a hoax. Perhaps others interested in this thread might like to copy it and flesh it out with more details and add their own questions. For what it's worth - as I said, it was put together in a very short time - here it is. At the end of March 1941 Goebbels had the 20 thick volumes of his diary deposited in an underground vault of the Reichsbank. The dictated pages began being filmed onto glass plates. Irving: The Germans filmed the diaries on about 1,700 glass plates in 1944 and 1945, some 70,000 pages of them. The aluminium crates containing the microformed diaries were sent to the Führerbunker. According to Louis P. Lochner, the 591 typewrited original pages from Goebbels's diary were among 7,000 pages which had been discarded by the Soviets during searches of the Propaganda Ministry at Wilhelmsplatz. They had been found in the courtyard of the Ministry immediately after the end of the war by a rag collector, who took them to a waste paper dealer. Through the hands of different intermediaries, the papers came into the possession of American reporter Frank E. Mason. Mason suspected that they were Goebbels diaries and took them to Lochner, former chief of the Berlin bureau of the Associated Press. Lochner, who was definitely in Berlin in July 1945 - he was slightly injured in a crash with a Russian truck - subsequently identified them as the original diary entries of Dr. Goebbels. He did so on the basis of apparent similarities with Goebbels' 1925-26 diary, which had been given to former President Herbert Hoover during a visit to Germany in 1946. Lochner decided that they were genuine on account of rhetorical and stylistic similarities. Lochner edited and translated them into English himself. They were published in 1948. Questions: Can we believe that the Soviet occupiers could not tell that the pages belonged to Goebbels's diary? After all the documents looked important: "The diaries were typed on fine water-marked paper, which was rare in wartime Germany and available only to high government officials." Next, can we believe that the Soviet occupiers allowed rag collectors to fossick among the ruins of the Propaganda Ministry? At this stage, they would have been searching diligently for material that could have been used to identify and punish suspected war criminals. Do we have anything, other than the word of two Americans - neither taken under oath - to prove the origin of the documents? Can the handwritten diary of 1925-26 really be used to authenticate the typewritten diaries of 1942-43? Could the typewritten diaries possibly have been faked by emulating the rhetoric and style of Goebbels's authentic 1925-26 diary? "Mason's long friendship with Herbert Hoover, and the services he performed for the "Chief" as a public relations advisor and literary executor, are the principal focus of the papers Mason donated to the Hoover Presidential Library. Diaries and correspondence with Hoover and Mason's wife Ellen (1945-47) provide interesting observations concerning early Allied occupation policies. While he was in Europe Mason also acted as a collector of manuscripts, records and rare books for the Hoover Institution. His main coup was the discovery and preservation of a large portion of the diaries of Joseph Goebbels. This led to a prolonged fight with the Office of Alien Property which sought to block its publication by Mason and his associates." More questions: Isn't it odd that Hoover's friend, Mason, is the man who told Lochner he thought the diaries were Goebbels's, and that Hoover had been given, by persons unknown (Mason?) the copy of a Goebbels diary that Lochner used to determine that the diaries Mason had given him were, in fact, those of Goebbels? Also intriguing: Why did the Office of Alien Property try to block publication of the Goebbels diary? Question: Why, if he deemed the diaries authentic, did Lochner not make them available for use during the Nuremberg trials, especially considering all the incriminating passages that appear in them from 1942 onwards? The pages of the Goebbels diary 'discovered' by Mason/Lochner were microfilmed in New York. The originals were then deposited at the Hoover Institution in Stanford, California. Publication of The Goebbels Diaries 1942-43. 'When the Lochner Book came out in 1948 there was a note from the government that reads: "No representative of the interested agencies of the United States Government has read the original manuscript or the translation of excerpts therefrom. The Department of State desires, as a matter of policy, to encourage widespread publication of documents such as this purports to be, of significance in the field of foreign policy, and has therefore not objected to the publication. The United States Government ... neither warrants nor disclaims the authenticity of the manuscript upon which this publication is based, and neither approves nor disapproves of the translation, selection of material, annotation, or other editorial comment contained herein." Questions: Was the publication of the diaries deliberately held over until the Nuremberg trials was over? Why did the US Government explicitly distance itself from the diaries? Wasn't it interested in knowing whether they were authentic or not? After all, if they were authentic they would have been extremely relevant to the ongoing war crimes trials. Was the US Government perhaps distancing itself from what it knew, or suspected, to be a hoax (if it was not actually involved in perpetrating it itself)? All available portions of the Goebbels diaries, including fragments unearthed by the French in their sector of Berlin, were microfilmed and published by the American Historical Association. The government of the GDR searched the ruins of the Reich Chancellery and found nine aluminium-boxes containing 20,000 severely water-damaged pages, both typewritten and handwritten, from the diaries. Question: Is it really possible that as many as nine aluminium boxes were still sitting in the Reich Chancellery 44 years after the Fall of Berlin and (in particular) many years after the Soviets had destroyed the Chancellery and recycled the materials for the Treptower Park monument and other purposes? Hamburg publisher Verlag Hoffmann & Campe published the Goebbels diaries for the period February 28-April 10, 1945 from copies that had been unearthed in Central Germany. The greater part of the diaries covering the period 1924-41 - around 4,000 pages altogether, were published in four volumes by a former research assistant for David Irving, Elke Fröhlich of the Institut für Zeitgeschichte in Munich: Dr. Elke Fröhlich (ed. ), 'Die Tagebücher von Joseph Goebbels. Sämtliche Fragmente,' 4 Vols., Munich, KG. Saur Verlag, 1987. Former research assistant for David Irving, Elke Froehlich, discovered the glass plates of the Goebbels diaries in the Soviet State Archives in Moscow because she recognised Richard Otte's writing on the lids. However, Froehlich's institute (the Institut für Zeitgeschichte in Munich) denied her the means to research further. Comments: A likely story! Richard Otte's handwriting must be peculiarly distinctive! Questions: Can we really believe that the institute sponsoring Froehlich, who is supposedly the 'world's leading authority on the Goebbels diaries,' would not see the value of sponsoring important work on the Goebbels diaries? Why sponsor the research world's leading authority on the Goebbels diaries if you don't actually plan to enable her to carry out research on the same subject? Can we really believe that Froehlich was not at least a little tempted to research the diaries at her own expense? After all, she was in Moscow anyway. What's a hotel bill for a few more weeks? Theory: Froehlich was sent to Moscow to 'pre-authenticate' the Goebbels diaries as the first stage of a trap to snare David Irving. After he was made aware of their existence by Froelich, David Irving becomes the first scholar to examine the glass plates of the Goebbels diaries. Miraculously, they authenticate the previously published Goebbels diaries (see entry for 1948), whose own story of origin is extremely implausible (see entry for 1945: April: Late). In particular, Irving uses the glass plates to decide the question of the authenticity of pages from Goebbels's diary that were 'wrangled over' in the Lipstadt trial. Question: Could a fake have been perpetrated to 'prove' the authenticity of an earlier fake? Given the importance of the diary in polemics between revisionists and Holohoaxers like Lipstadt, it would be an extremely convenient way of bolstering the Holohoax position against the revisionists. Is this why David Irving ended up being enticed to Moscow by the discovery of the glass plates? Diaries found by David Irving in Moscow were first published by the news-magazine Der Spiegel in four issues, beginning with No. 29/1992 (13 July 1992) to No. 32/1992. Comment: That's rather fast work! Irving has just obtained access to them, and within a month excerpts are already being published in a magazine that one would expect would be extremely wary of publishing this type of material. David Irving successfully obtained the necessary funding to allow him to purchase the glass plates from the Moscow archives. No sooner did he raise the necessary cash than his access to the Moscow archives, and therefore to the plates, was abruptly cut off. Question: Is it possible that 'they' (i.e., those actually running the Goebbels diary hoax) wanted Irving to know enough about the plates to authenticate them, but did not want him to actually possess them, in case over time he was able to work out that they were not authentic? But does Irving in this letter really write like a man who thinks that he might have been wrong and doesn´t like it? Maybe, it´s possible. And maybe, on the other hand, he writes like a man who has a completely different, hidden, agenda; and a part of that agenda would be to convince people - Revisionists as well as non-Revisionists - that the diary is genuine. "Theory: Froehlich was sent to Moscow to 'pre-authenticate' the Goebbels diaries as the first stage of a trap to snare David Irving." My suggestion would be that Fröhlich (might be a Jewish name) and Irving have actually co-operated on this. 1. I agree with driansmith that the forgers probably had seized the genuine Goebbels diaries in 1945 (it wouldn't be possible to fake 70.000 pages and staying consistent with regard to locations, persons, meetings, etc.). But the huge authentic material would give credibility to the added fake passages. 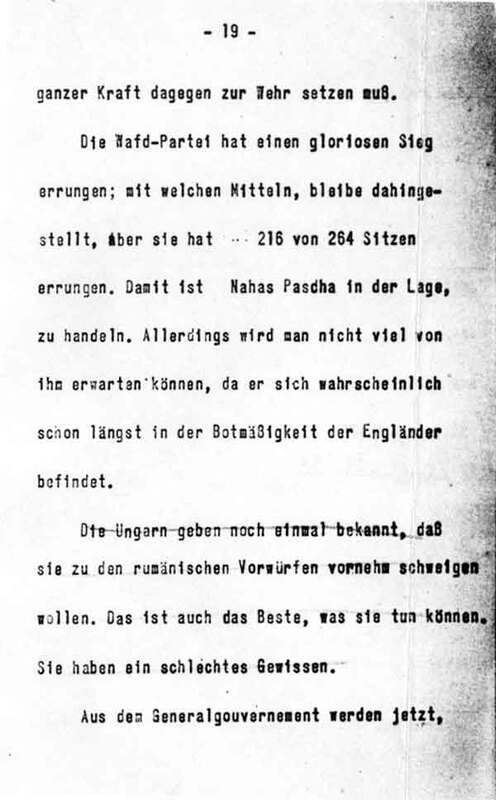 In her comment on Goebbels' diary entry on November 10th, 1938 (“The condition of the [...] diplomat vom Rath still is very serious” [in the morning] and “in the afternoon, the death of the German diplomat [Ernst vom Rath] is reported”) she writes that vom Rath had already died the day before, Nov. 9th. So this entry actually doesn't contradict the real events. 3. A very interesting point in Weckert's argumentation is that according to Goebbels' secretary of state, Dr. Naumann, Goebbels and Naumann took the night express-train (departure 11:50 p.m. on Nov. 9th) to return to Berlin. But according to the diary, Goebbels was in Munich during all day of November 10th. It must be possible to find out where Goebbels actually was on Nov. 10th. If Naumann's version was true, this would prove the diary-entries of November 1938 to be fake. David Irving wrote: Unfortunately, nobody knows where the original volumes are. In my opinion, this diary of 1938 is genuine. Since we haven't seen the original papers, we can't conduct the laboratory tests [...] which could confirm the result. As Weckert points out correctly, the only authentic source would be the original handwritten diary of Goebbels. Or at least the glass plates of this diary. Both can't be found. It is obvious that this volume can't have contained the entries from Nov. 8th to 11th, dealing with the Kristallnacht. As Weckert mentions correctly, Irving doesn't explain in his introduction, where he has those entries of November 1938 from. In a letter from August 22nd, 1992 [to Weckert], Irving writes that the glass plates "for November" are unfortunately missing and only photocopies of decreased size in poor quality are available. It is based on that “finding” by that obscure rag collector, which was handed on to a waste paper dealer and then somehow ended up in the hands of Lochner. 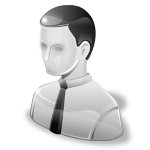 Since we are told that Goebbels had taken the original typewritten pages with him to the Führerbunker, and instructed Otte to burn the carbon-copies of those typewritten pages in the Propaganda Ministry, we are expected to believe that the Soviets, who searched and examined all the German ministries very closely with their special forces (SMERSH, etc.) didn't come across and have a look at the carbon-copies of Goebbels' diaries, lying around in the courtyard of his Propaganda Ministry and that they hadn't prevented any unauthorized obscure rag collectors from entering the former German ministries and taking with them whatever they wanted. This story is so incredibly stupid that I wonder how anyone could have believed it. It's a typical jewish story. So the “source” for that diary-entry of March 27th, 1942 is a carbon copy of some typewritten document which was found by some obscure rag collector lying around in the courtyard of Goebbels' ministry, which the Soviets didn't care about and was presented by some (jewish, I presume) rag collectors and waste paper dealers to an US-journalist. Source: Hamilton Spectator (Canada), March [9?] 1948. In other words, the diary pages did not go directly to Mason but came to him via an American government institution, and there is nothing to say how they reached the Document Center. The fact that the documents were found in an American goverment (State Department) institution also raises questions about why the US government did not hold onto them for use during the upcoming war crimes trials. Can we believe they just let Mason walk away with them????? The same report states that Lochner identified the papers as those of Goebbels 'on translation.' That's odd in itself: can documents be authenticated on the basis of translated copies? It also states that Lochner authenticated them on the basis of 'internal evidence' - which means, for the uninitiated, that they weren't corroborated in any way. This means that Lochner decided that they were authentic because they sound like Goebbels, which is not a very sophisticated approach, because anyone fabricating the diaries would have made a decent effort to sound like Goebbels! I wonder whether the American Document Center might best be described as the American Center for the Fabrication and Suppression of Wartime German Documents. Nothing could better show how little Dr. Goebbels knew about the treatment of the Jews. Whether Dr. Goebbels actually wrote these passages is, of course, debatable. That Goebbels was not only informed about every detail of the murder of millions of Jews, but also welcomed the establishment of extermination camps and even directly called for it, is proved by his diary. 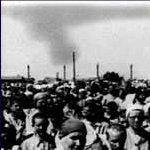 March 27, 1942: … Beginning with Lublin, the Jews in the General Government are now being evacuated eastward. The procedure is a pretty barbaric one and not to be described here more definitely. Not much will remain of the Jews. On the whole it can be said that about 60 per cent of them will have to be liquidated whereas only about 40 per cent can be used for forced labour. The former Gauleiter of Vienna, who is to carry this measure through, is doing it with considerable circumspection and according to a method that does not attract too much attention. A judgement is being visited upon the Jews that, while barbaric, is fully deserved by them. The prophesy which the Führer made about them for having brought on a new world war is beginning to come true in a most terrible manner. That these pages were rescued from the chaos of the fall of the Reich is due to chance. For his notes Goebbels used an unusually handsome and sturdy laid paper, such as the “average consumer” hardly ever got to see in those war years. After the capture of Berlin in 1945, some seven thousand sheets of this paper were lying around the courtyard of the Propaganda Ministry. Russian soldiers were about to bum these heaps of paper when a junk dealer, impressed by the quality of the hand-made paper, took the valuable and scarce commodity for himself, and thus saved the wartime memoirs of the Minister from the flames. Later, a great deal of effort was devoted to sorting and collating the scorched pages. In many respects, this is a strange tale indeed. How are we to believe that Russian soldiers were about to burn unexamined documents from a Reich Ministry, but then decided-purely out of the goodness of their hearts, perhaps - to make a gift of them to a poor rag and bone man? It is strange, too, that a journalist “edited this material and published those portions of it that are of interest to the historian.” Fraenkel and Manvell do not reveal how Lochner gained access to these papers. No doubt he had some story prepared to explain that, but refrained from telling it, lest the whole business appear even more improbable. Naturally, the "original manuscript”- like so many other fragments of the German official files of that era - is in the United States, where the possibilities for manipulation were unlimited, not in an archive in Germany, where it belongs. In any case, the Goebbels quotations cited by Fraenkel and Manvell and by Langbein obviously do not help answer the basic question of our inquiry. If these authors seek to give the opposite impression, they are simply misleading us. Neither Auschwitz nor any other “extermination camp” is mentioned in these diaries. = See also Nation Europa, Nr. 4/1975, pp. 53ff. 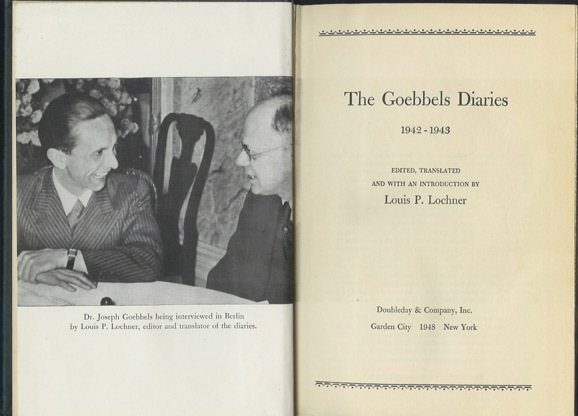 Langbein points out in the appendix to the aforementioned booklet that the Goebbels quotations used there are derived from the “diary,” of which “excerpts were published by Louis P. Lochner” (op. cit., p. 133). = Interestingly, the Institut für Zeitgeschichte has admitted that passages could have been falsified. Before me is a communication on this which arose from an exchange of letters regarding the Goebbels diary. In the meantime, a Hamburg publishing house has published the first volume of a series of four of the so-called complete Goebbels diaries. I was not able to evaluate it for this particular study. Wilfred von Oven has identified them as falsifications. According to Oven, the authenticity of the citation from the Lochner edition, which also appears in this diary, can only be clarified by one of the three microfilms which Goebbels had made and had hidden in a secret place before he ordered his original diaries destroyed. None has yet been found. See von Oven, Finale Furioso, p. 647.